Taking a page from the Pentagon’s playbook, China last month publicly revealed a new military strategy; a first ever move that advertises how Beijing intends to implement its growing foreign policy in the coming years. Released on May 26th just days ahead of the 2015 Shangri-La Dialogues, the strategy supports China’s three national priorities (safeguarding national unification, maintaining territorial integrity, and developing its economy), and describes a shift away from land power in favor of the air and maritime domains. 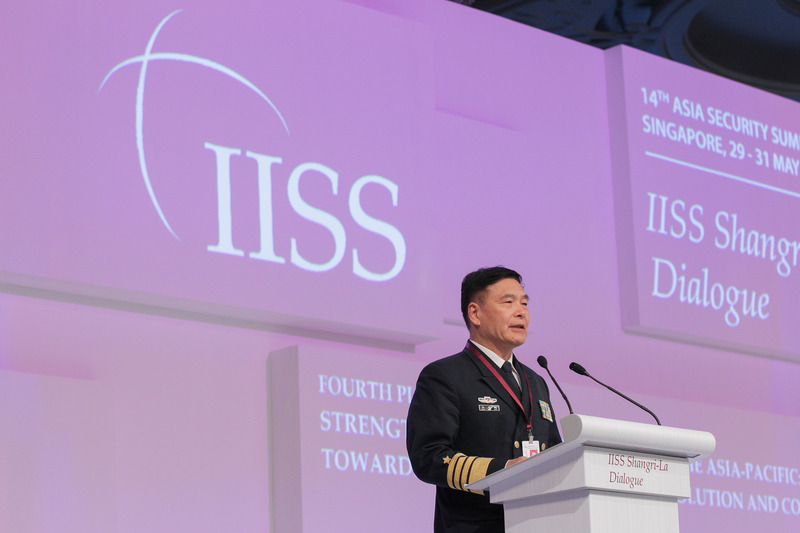 But the new strategy is about much more than a simple change in emphasis, it embraces joint operations and offensive warfare, particularly in the maritime domain, and introduces security cooperation as a key element of national policy. These are sophisticated concepts associated with power projection and though this may cause concern in some western military circles, they are a recognition of a strategic reality that has been evident for some time already: specifically that China simply must project power if it wants to sustain its increasing importance in the global economy. 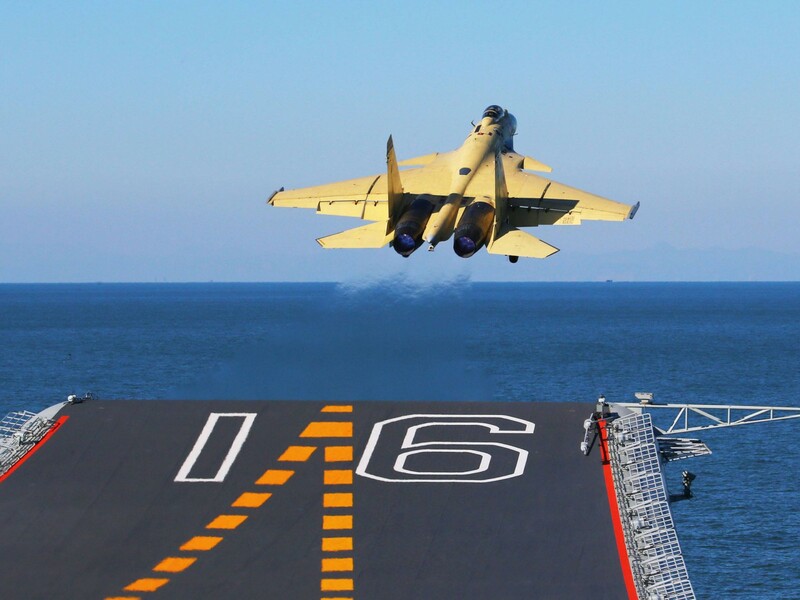 The emergence of the air and maritime domains (and by extension the space domain) in Chinese strategic thinking is a natural outgrowth of the country’s new economy. In the 1950s when China set the foundations on its previous strategic concept, the country was an inward-facing rural agrarian society that largely provided all the resource needs of its own economy. Territorial integrity and population resource control within mainland China were the overarching preoccupations of Beijing. An independent, centralized economy and a closed society were basic tools to maintain this control and support the limited foreign policy of the Chinese Communist Party. Needless to say, that has been changing at an ever-quickening pace since Deng Xiaoping suggested that to be rich is glorious. Since then, China has become an integral player in the modern globalized economy. It joined the World Trade Organization in 2001 and now provides labor and infrastructure for an enormous percentage of the world’s simple manufacturing; in effect, China has subordinated its foreign policy to its economy much as western nations have been doing for hundreds of years. In this regard, the new Chinese strategy is a sensible adjustment to globalization. Thus, power projection has become the unifying principle of Chinese military development affecting all branches of its armed forces. The People’s Liberation Army (PLA), traditionally a defensive force, is transitioning “from theater defense to trans-theater mobility”. 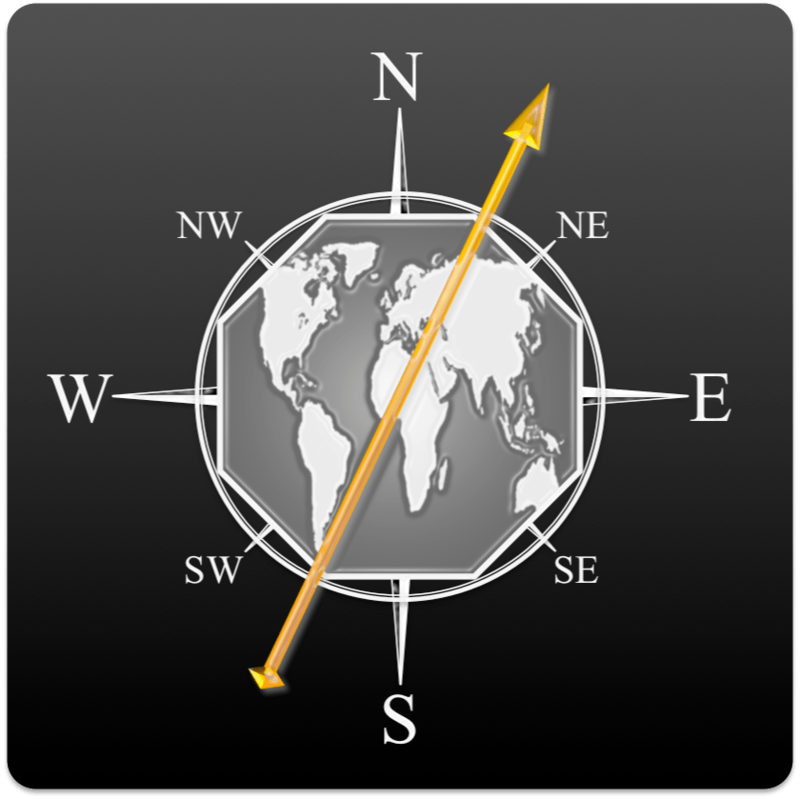 It is adapting itself to tasks in different regions of the world and for different purposes. The PLA Air Force (PLAAF) will take on offensive missions including air strike, airborne operations, and strategic projection. This last bit was clearly on the minds of generals and politicians in Beijing during the search for Malaysia Airlines flight 370 which featured PLAAF air and logistical units operating deep in the Indian Ocean from forward bases for extended periods. Though the operation revealed weaknesses in air-sea integration, intelligence fusion, and planning, it was a necessary first step and undoubtedly provided many important lessons. The PLA Navy (PLAN), which in the past more closely resembled a coast guard than a true navy, is making the most visible transition, developing carrier aviation, ballistic missile submarines, and possibly even anti-ship ballistic missiles. Like the PLA Air Force, the PLAN is already experimenting with power projection, operating a national counter-piracy operation in the Arabian Sea and Gulf of Aden since 2008 and influencing construction of dual-use port facilities in the Maldives, Pakistan, and elsewhere. Notably, PLAN also pioneered integration with Chinese paramilitary units of the Coast Guard and Fisheries Service that are on the forefront of defending territorial claims in the East and South China Seas. While China’s military evolution is observable and measurable, other aspects of its drive to project power are less so. Chinese cyber units have been attacking American military and commercial activities for years with the latest incident, according to two US Senators, taking place last week when hackers stole security background information of up to 4 million US Government officials. In the realm of security cooperation, Chinese Special Operations Forces (SOF) are also becoming more active and more aggressive. There were credible reports in June 2014 that Chinese SOF helped evacuate their nationals from Iraq as that country came under threat from the Islamic State of Iraq and the Levant (ISIL). Similar operations took place more recently in Yemen. Chinese naval commandos are known to operate with PLAN task groups in the Gulf of Aden, and other Chinese SOF are busy engaging counterparts around the world. By early 2012, this activity had accelerated so much that US Intelligence grew concerned this was a systematic attempt to directly counter American influence in Southeast Asia. They had determined that Chinese SOF were engaging Southeast Asian units hot on the heels of similar visits by US SOF teams. While the timing and the targets of these exchanges is impossible to dispute, these patterns probably had more to do with host nation priorities for which units would benefit from the training. Whatever the real motivation, the point is that Chinese SOF are engaging regional neighbors in the exact same manner as US SOF and reportedly with much more flexible rules for investing in their hosts. And while SOF is the most versatile and reliable of China’s tools for security cooperation, it is hardly the biggest or most important. China maintains robust relations through training exchanges in Africa and Latin America and routinely conducts combined exercises with Russia under the auspices of the Shanghai Cooperation Organization (SCO). The new strategy reinforces these interactions but also specifically recommends increasing military ties with Europe in unspecified ways. For observers and practitioners familiar with the strategic culture of China in the last ten years, there is a noticeable if hesitant emergence of the Chinese military from the shadows of secrecy and a defensive mindset. While western nations may be very happy to accept China into the global economy, they are less comfortable with the corresponding increase in Chinese military engagement. Western discussions on the management of China’s rise are overwhelmingly presented in economic terms, leaving us to ponder whether the purpose of the newly released strategy is to remind us that we must also consider the rise of China’s military if we hope to keep peace in Asia. The Root of All ISIL? 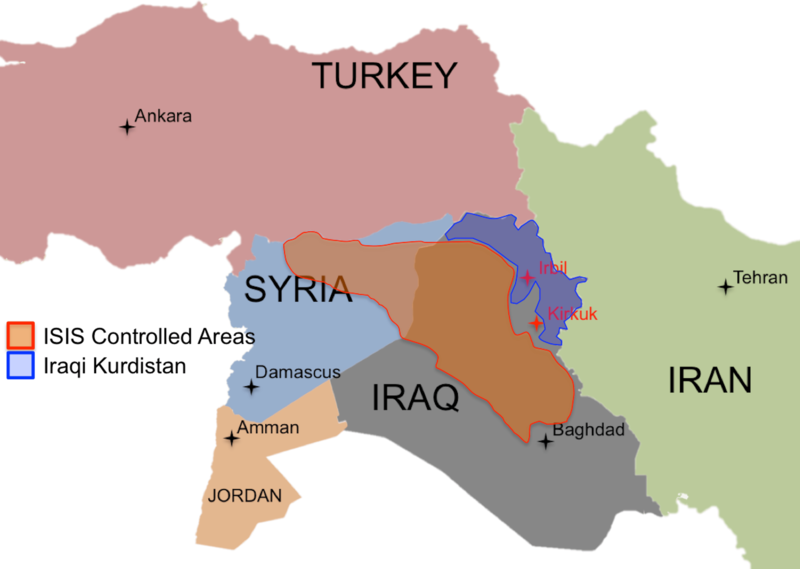 There is a lot of soul-searching nowadays regarding the origins of the Islamic State of Iraq and the Levant (ISIL). Historians and political scientists of all sorts have logged a lot of air time and print space answering the questions: “How could ISIL have happened and where did these savages come from?” Their answer is almost always a history lesson of the Iraq war with the occasional biopic on the Assad family thrown in for balance. Very rarely do they explore ISIL’s roots beyond that so there is something missing in the coverage. While the post-2011 situation in Iraq undoubtedly led to the conception and birth of ISIL, let us remember that the group grew up in Syria. For those of us paying attention then, our thoughts on the genesis of ISIL must inevitably turn to the Arab Spring and its mishandling by the Obama Administration and others. Are the White House’s failures at the roots of ISIL? Tahrir Square protesters communicate the scope of the movement in 2011. 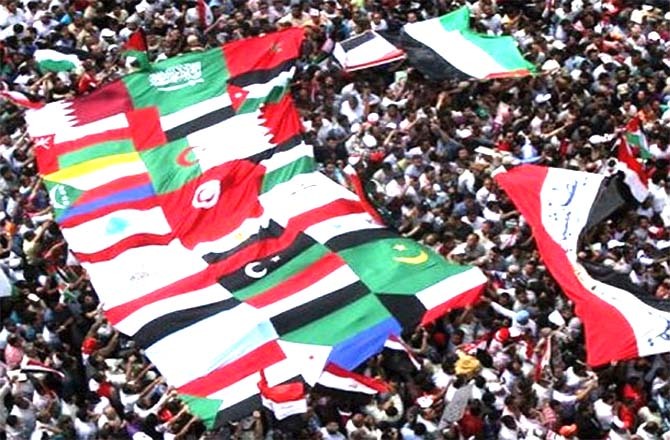 We all know the mixed history of the Arab Spring. On one hand it promised to liberate political thought in the Middle East from its despotic modern history but on the other led to the jarring realization that Islamism may indeed come to US allies like Egypt through the ballot box. The Obama Administration should have learned a lesson from the electoral victory of Hamas but instead meekly transmitted mixed messages of support for America’s distasteful but stable ally Mubarak. On 11 February 2011, Egypt announced Mubarak’s resignation while other regional allies watched in horror as America abandoned the second-largest recipient of US military aid. Four days later, as if on cue, violence erupted at Arab Spring protests in Benghazi, Libya, igniting the civil war that ultimately led to the ignominious downfall of Muammar Ghaddafi and the slow descent of the country into perpetual balkanized dysfunction. Less than three weeks after the first shots were fired in Benghazi, Britain and France were rushing headlong into the fray, enforcing a no fly zone and bombing Ghaddafi’s forces on the ground. To support this they waved the flag of humanitarian intervention but found themselves critically limited in two ways: by their own inability to sustain a protracted air campaign in Africa, and by the insistence of the Obama Administration to “lead from behind” and achieve victory through airpower. In what must be one of history’s most stunning examples of the costs of alliance politics, the United States very quickly found itself compelled to rescue its allies from spectacular failure in a campaign it was verbally supporting. Constrained by the President’s refusal to lead from the front, the United States Military took the reins under the guise of a NATO intervention while the French and British happily withdrew to the familiar position of supporting a US-led military endeavor America never wanted and did not benefit from. In Libya, the rest is history. Freed from control of the Ghaddafi regime and armed by a flood of loose weaponry, groups like Al Qaeda in the Islamic Maghreb (AQIM) unleashed direct assaults on governments across northern Africa. As I argue in “The Illusion of Suddenness“, The infectious cocktail of successful rebellion in Egypt and weaponry from Libya transformed another Arab Spring protest, this time in Syria, into a raging insurgency. The stage was set for ISIL to come of age. As the war in Syria intensified, the United States continued to display hesitation in its foreign policy. With the Assad regime clinging desperately to survival, western governments began to grow concerned about the potential for its use of chemical weapons. At a 20 August 2012 press conference, the President of the United States, who seemed to have recovered from his earlier lack of conviction in regional affairs, delivered a clear and powerful deterrent threat to Damascus by drawing a “red line” against the use of chemical weapons in the conflict. But as a string of mysterious chemical weapons began exploding in rebel-held neighborhoods in October of that year, the “red line” began to bend and eventually broke in August 2013 after the undeniable use of Sarin in the town of Ghouta. Rather than use authority under the War Powers Resolution to defend the “red line”, the President sought and received a specific resolution from Congress on 6 September which, among other things, required him to use “all appropriate diplomatic and other peaceful means to prevent the deployment and use of weapons of mass destruction by Syria”. In this he complied with further delay, announcing that air strikes could be averted if Syria were to give up its chemical stockpiles. Sensing an opportunity, Russia sent its Foreign Minister to negotiate the handover, managing by his success to destroy what little deterrent credibility the United States had left in the region. The ISIL assault on Iraq began predictably three months later with the fall of al Qaim in December. By the end of February 2014, Fallujah and Ramadi, taken at such cost by American soldiers ten years earlier, were firmly in Islamist hands. In June, ISIL attacked the Tigris river valley, taking Mosul on the 10th and Tikrit the next day. By the end of the month, large formations of the Iraqi Army had been completely destroyed, Tal Afar was in ISIL hands, and both Syria and Iran were actively intervening in Iraq. Even then, America held off taking action until ISIL’s slaughter of Yezidis in Sinjar and simultaneous advance on the Kurdish capital Irbil. By this time, ISIL controlled all the major cities in the north and west of Iraq, the Kurds were on the verge of being shattered into four exiled refugee communities, Baghdad was surrounded on two sides, and Iran was intervening openly in the situation. The specter of state on state sectarian war was becoming very real indeed as the buffer between traditional enemies Iran and Saudi Arabia was collapsing precisely as Washington’s resolve was in serious doubt. The chronology of this is as disheartening as it is hard to deny. A series of American half measures, broken promises, and false threats is the real root of all ISIL in the Middle East. Faced with nothing but bad options, the White House now finds itself fighting shoulder to shoulder in Iraq with its old enemy, the Quds Force. Meanwhile, Riyadh has felt compelled to build an independent coalition (read: without the USA) to wage open war against Iranian proxies on their Yemeni frontier leading to the possibility that once again, the United States will get dragged into a conflict it doesn’t want in order to rescue an ally from failure. Egypt, Qatar, and the UAE have all conducted offensive military strikes against ISIL and Arab Spring-related forces in the last five years, and large rifts are developing between the United States and critical allies Turkey and Israel. If there is a silver lining to the quickening foreign policy disaster in the Middle East, it is that the crisis has given Tehran and Washington an opening to start talking about the Iranian nuclear program. One gets the sense however, that the rapprochement comes amid declining American leverage rather than the reverse. 2014 has been a momentous year for a lot of us around the globe. Malaysian aviation suffered terribly with the loss of 687 people and three aircraft, one of which forced an unwelcome connection to an undeclared war half a world away in Ukraine. That country has also suffered at the hands of its powerful and distrustful neighbor, losing Crimea and its sense of normalcy. Ebola threatens to destabilize west Africa and may force Africans to come to terms with the state of their health care systems and how traditional cultures impact them. Libya is effectively a failed state, erasing any remaining hopes that the demise of Ghaddafi (and the “humanitarian intervention” that brought it about) would lead to something better. But perhaps the most vexing tangle is taking place in the heart of the Middle East where a festering war in Syria has exposed the weakness of the Iraqi state and American resolve to deal effectively with problems there. With US interests torn between supporting Assad to defeat ISIL or supporting ISIL to defeat Assad, American policy seems frozen at “something must be done”. These are just some of the things we will attempt to untangle in 2015 and it is my hope that this blog, The Affiliate Network, is where we will talk about them. We therefore dedicate this forum to matters of international political economy, corporate risk, regional social issues, and related topics important to global security and business. We look forward to hearing from you in the new year.